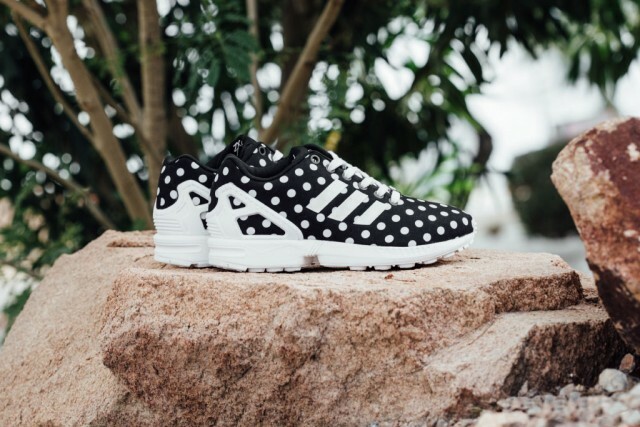 adidas ZX Flux "Polka Dot"
This month marks the arrival of a ladies’ polka dot variation of the relatively new ZX Flux silhouette. 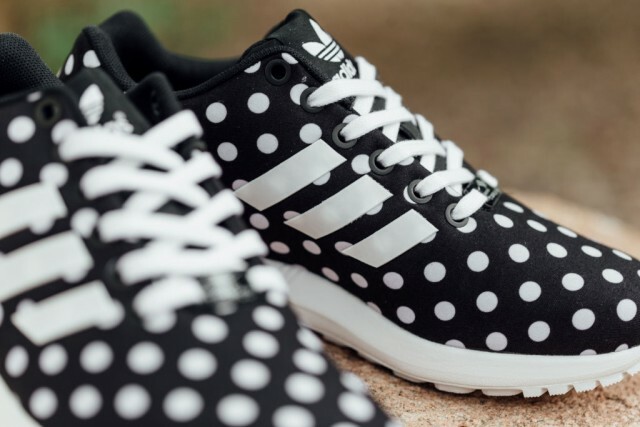 Though bringing the eccentricity for which the ZX Flux is known through the pattern, a simple Black and White scheme tones it down to a crisp design for the season. A black upper receives a white polka dot overlay, as it sits atop a white sole unit. 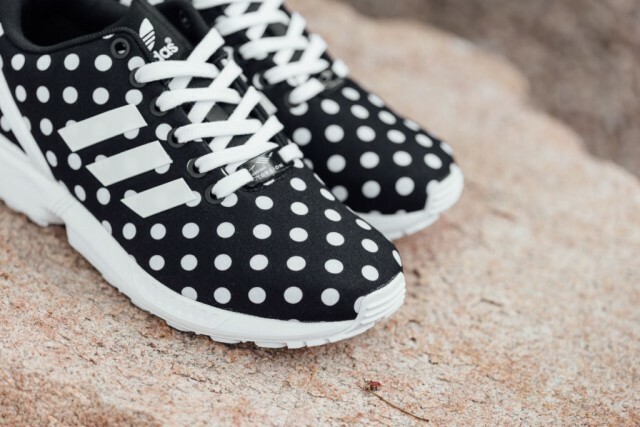 Further detailing includes white laces and a white heel cage. 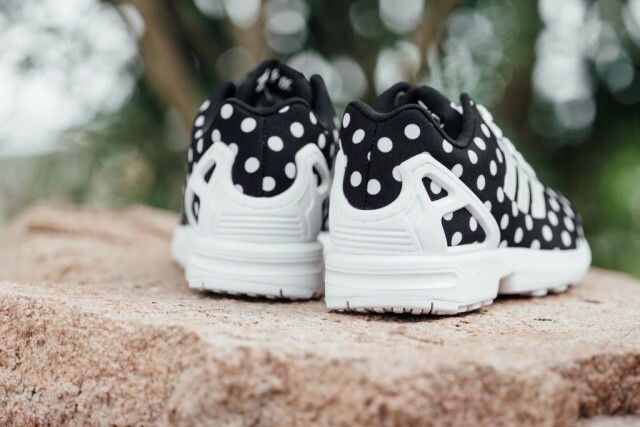 Priced at $90 USD, the adidas ZX Flux ‘Polka Dot’ is bailable now at select adidas retailers.